If at all, an MP3 player could blow you off, it has to be the one featured above. Yes, the most violent MP3 player youâll ever come across. 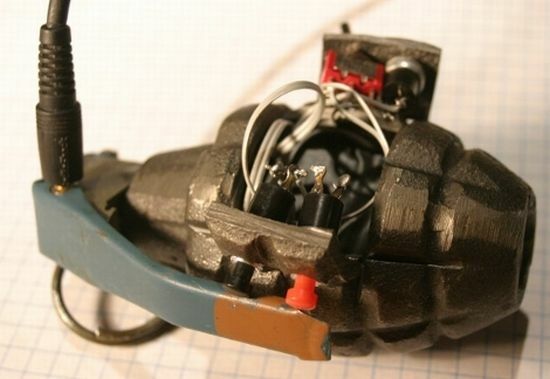 There are tiny electronics cranked inside the body of a hand grenade, with headphone jack replacing the safety pin. 'Glowing Tambourine' lights up with each shake! Magnetic Cups make everyday kitchenware funky! Wanna Ride on a Single Wheel?